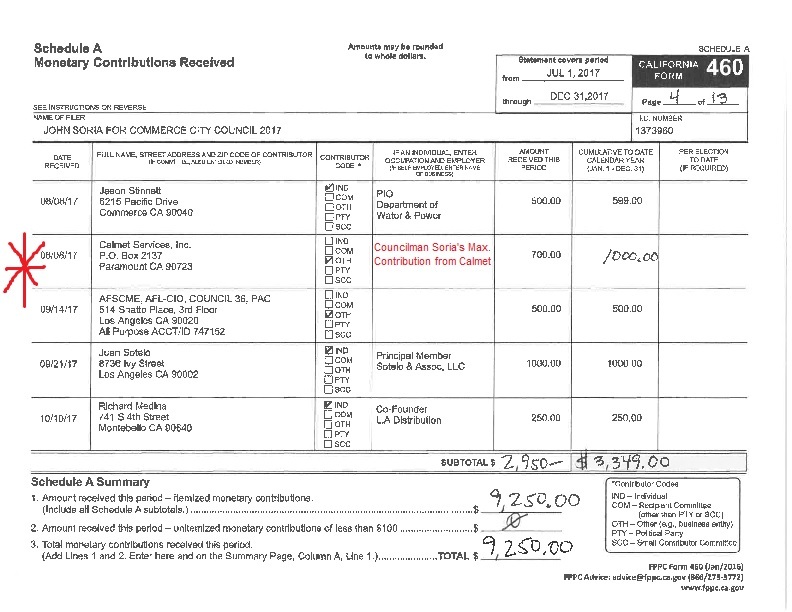 Mayor Sam's Sister City - Home of Los Angeles Politics: Mayor Sam Exclusive: A Model City's Ethics in the Garbage? Mayor Sam Exclusive: A Model City's Ethics in the Garbage? 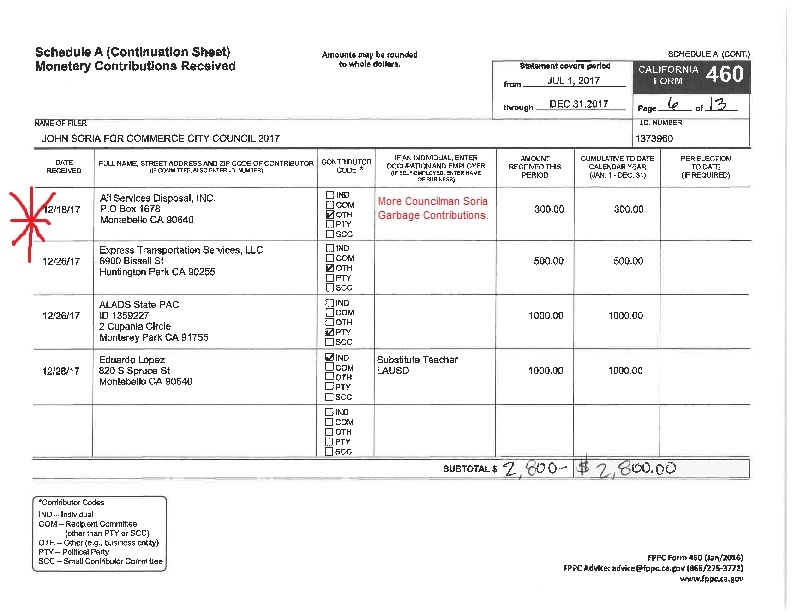 In a Mayor Sam Blog Exclusive, we disclose troubling similarities regarding the alleged Bid-rigging of "Semi-Exclusive Agreements for Refuge and Recycling Services" in the City of Commerce and an Unconstitutional 2016 Medical Marijuana Business Permit Scheme in Huntington Park, that involved Edgar Cisneros (as the City Administrator), the Glassman Law Firm (as the contracted City Attorney) ........., and notorious Southeast LA County Politico Mario Beltran. 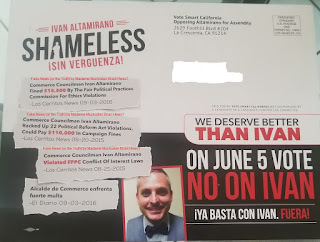 ** Blogger's Notes: Does Ivan "remember those (affirming, or not, his Political Agenda)" ..........., with the concurrence of his Commerce City Council Colleagues? 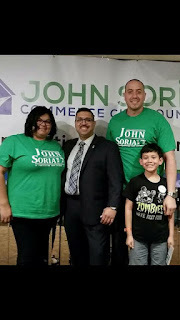 In the aftermath of its controversial passage of a Marijuana Ordinance, City of Commerce City Council wasted no time in devolving into another Ethical Controversy (over the proposed issuance of "Semi-Exclusive Agreements" for Commercial Refuse and Recycling Services) and again, the Ethics of Commerce City Councilman (and rejected Assembly Candidate) Ivan Altamirano, along with his Council Colleagues John Soria, Oralia Robello and Hugo Argumedo, will be questioned. 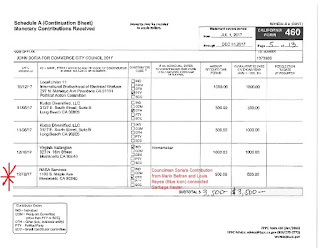 Upon a review of rejected, Assembly Candidate Altamirano's Contributors, five of the seven companies selected for "Semi-Exclusive Agreements" were Major Donors (highlighted in Bold, with contributions posted below), which gives witness again to Councilman Altamirano's troubling proclivity in using the Commerce General Fund, to "remember those", who financed his recent political aspirations .........., such as the notorious Mario Beltran ($4,400) and NASA Services ($3,000). 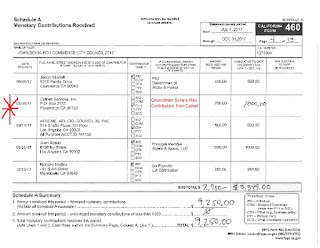 That stated, Councilman Altamirano and his Council Allies, may have stepped on the "Third Rail" of Southeast Los Angeles County Politics, in choreographing their latest scheme to reward "Puppet Masters" Mario Beltran/Hector Chacon's cronies ..........., at the expense of antagonizing the "Giants" of the Waste Management Industry. The Mayor Sam Blog has learned that a "Major Waste Management Company (maybe two)" are voicing their concerns about the integrity of the selection process ........., and plan on making their voice (and union allies) heard at the upcoming Tuesday, October 2 City Council Meeting. 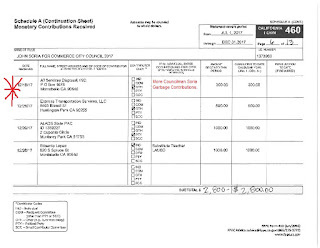 Following its vote on the on the Marijuana Ordinance, information was disclosed to this blog on the role the current Commerce City Administrator Edgar Cisneros and the City Attorney-contracted Glassman Law Firm, played in the same positions, regarding a failed 2016, Litigious Scheme, to rig the awarding of Medical Marijuana Business Permits in Huntington Park. Excerpted from the Cannabis Business Times: In 2017, D|R Welch filed a lawsuit against the City of Huntington Park for allegely unfair business practices, civil conspiracy, RICO, and violations of the First Amendment, Fourteenth Amendment and the California Constitution. The lawsuit states that City council members allegedly devised a fraudulent scheme to rig the City’s medical marijuana business permit application process and receive kickbacks from application fees, while prohibiting applicants from attempting to contact City council members. 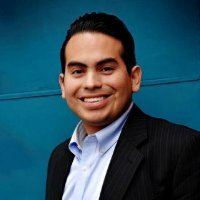 Now in 2018, as the City of Commerce Administrator and City Attorney Firm, both Edgar Cisneros and the Glassman Law Firm respectively, are silent (again), while the "Lobbyist of Interest (rhymes with MARIO BELTRAN)" in the Huntington Park Scandal, attempts to choreograph another self-benefiting scheme for himself and cronies (allegedly)----Scott Johnson. Agenda Item # 17. Award of Semi-Exclusive Commercial Refuse and Recycling Agreements and Fee Adjustment The City Council will consider for adoption a Resolution awarding Semi-Exclusive Agreements for commercial refuse and recycling services to AAA Rubbish, Waste Management, Calmet, NASA, Haul Away, American Reclamation, and Universal Waste, and approve a Semi-Exclusive/Hauler Fee of 15% of gross receipts for all licensed haulers effective January 1, 2019 (** Companies in Bold contributed to the John Soria for City Council, Ivan Altamirano for Assembly Campaign, or both as noted below). Infamous former Bell Gardens City Councilman (and NASA Associate) Mario Beltran. Will NASA Services (with the help of Mario Beltran and Blue Icon's Louis Reyes) force out Cal Met as the City of Commerce Primary Garbage Hauler? City of Commerce Councilman John Soria with Councilwoman Oralia Robello (on left) and City Administrator Edgar Cisneros (on right). 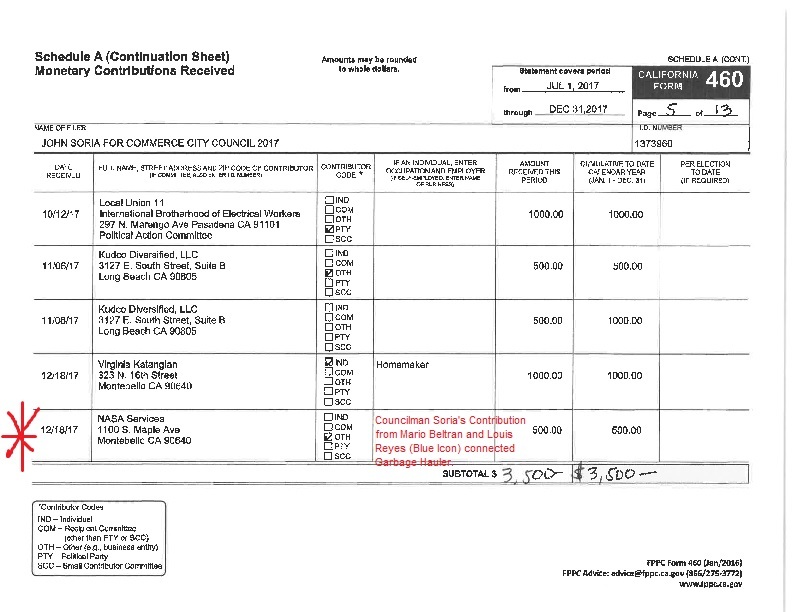 Posted below are John Soria's 2017 Campaign 460's with red stars denoting Waste Hauler's Contributions. 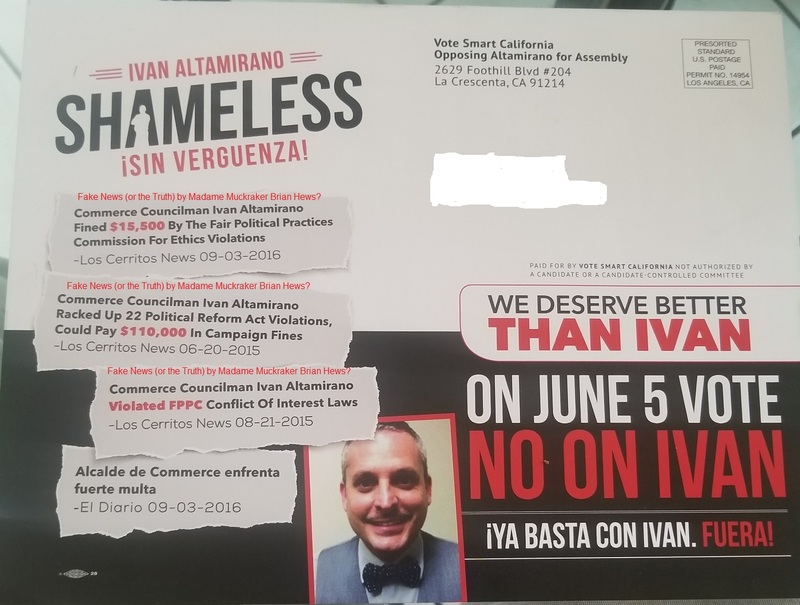 Apparently, Commerce City Councilman Ivan Altamirano is "Shameless" in rewarding "Semi-Exclusive Agreements" to Waste Hauling Firms, who donated to his rejected (at the Polling Place) Assembly Campaign. Its Alexandria Ocasio-Cortez Does LA Day! !